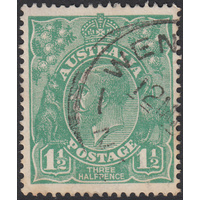 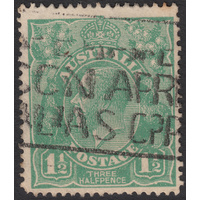 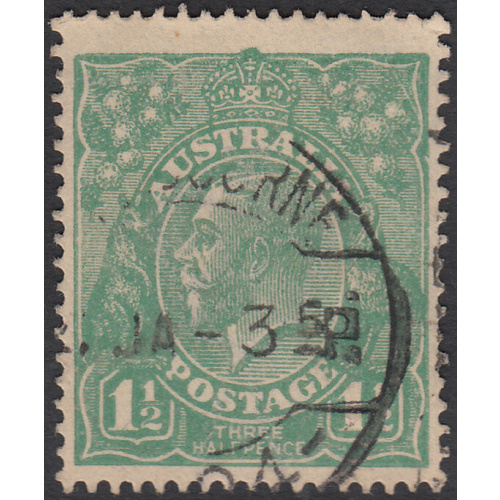 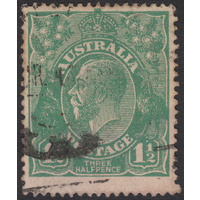 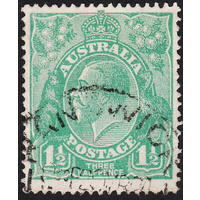 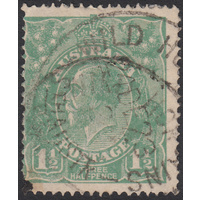 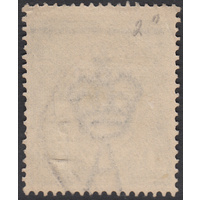 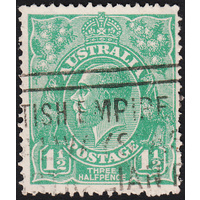 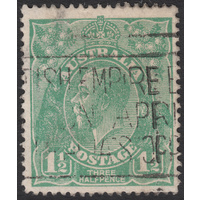 Australia KGV 1923, 1&1/2d Green, Single Watermark, variety 12R5, (Scratch through top right corner and notch in right frame near top right corner) in Fine Used condition with a slightly detached top right corner perforation. 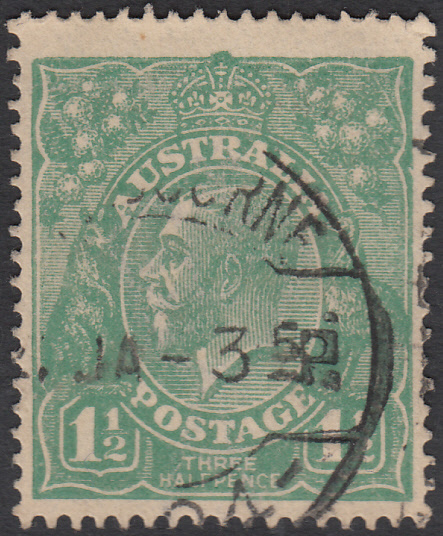 Reasonably centered with a circular duplex cancellation (MELBOURNE, January 1924) well clear of the variety. 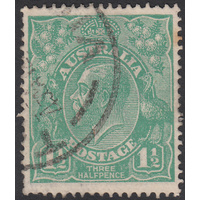 Nice variety! 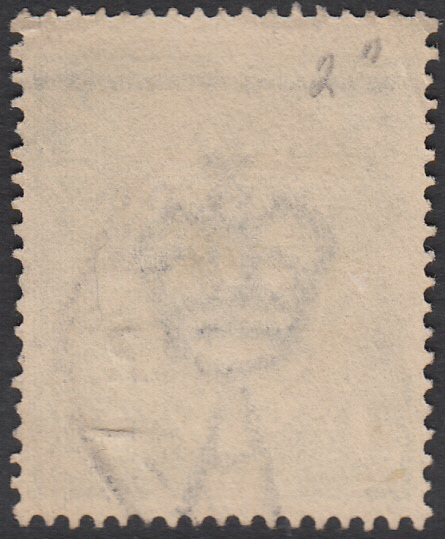 BW 88(12)j.